Kawhi, Kryie, Eli and more trade demands that shocked the sports world. It seems the hottest trend in the NBA is to ask for a trade to greener pastures. Kyrie Irving did it; Kawhi Leonard did it; Jimmy Butler did it—and all that happened in a span of one year. It doesn’t just happen in basketball, either. What motivates athletes to demand trades varies across each situation. Sometimes, as in Irving's case, it's a desire to escape another player's shadow. In other instances, perhaps a player doesn't believe his team's management is committed or capable enough to build a championship-ready roster. But one thing is for certain—whatever the cause, anytime an athlete wants to leave a team, it's going to evoke strong feelings, and strong feelings are memorable. Here are the some of the most memorable trade requests in sports history, in no particular order. To most observers, the Spurs seem like the most harmonious franchise in the NBA. They’re led by a universally respected coach and a consistent cast of veterans and haven’t missed the playoffs since 1997. But Kawhi Leonard proved that no NBA team is immune to drama. Kawhi only played nine games in the 2017–18 season due to quad injury, seeing limited sporadic action in December and early January before shutting it down again. The team and the player disagreed about the severity of Leonard’s injury and the best course of action. Leonard spent much of his recovery time away from the Spurs, consulting with his own doctors and rehabbing at the players union’s gym in New York. Leonard reportedly felt his decisions on how to treat the injury bothered the Spurs and in June he notified the franchise that he would like to play elsewhere. Leonard ended up being traded to the Raptors (with Danny Green) in exchange for DeMar DeRozan, Jakob Poeltl and a top 20-protected first-round pick. Jimmy Butler developed from a role player to top-tier star under Tom Thibodeau in Chicago but their reunion in Minnesota was not as pleasant. Though the Timberwolves improved by 16 wins after Butler’s arrival prior to the 2017–18 season, Butler and Karl-Anthony Towns reportedly clashed personally. When the Wolves decided to extend Towns, Butler (who also had just one year left on his deal) said he had no intention of signing a new contract with Minnesota and wanted to be traded. Manning was the clear-cut No. 1 player in the 2004 draft and the team with the top pick, San Diego, thought it had found its franchise quarterback. But then Manning’s agent broadsided San Diego just days before the draft by saying Archie Manning had made it clear he didn’t want his son playing for the floundering Chargers. Archie wanted Eli in New York. In the end, it worked out swimmingly for both sides. The Chargers took Manning, the Giants took Phillip Rivers—who the Chargers liked more than Ben Roethlisberger—and the teams worked out a trade. San Diego got the Giants’ third-round pick that year and selected Nate Kaeding, who went on to become the most accurate kicker in franchise history. The Bolts also received the Giants' 2005 first-round pick, which they used on Shawne Merriman. Elway’s situation was nearly identical to Manning’s. The Colts picked Elway No. 1, despite Elway’s father having told the team months earlier that his son would never play for Baltimore. But Elway had something Manning didn’t: a baseball career to fall back on (or use as leverage). The Yankees had taken him in the second round of the 1981 draft and Elway threatened to leave football behind. The Colts caved eventually, though, and dealt Elway to the Broncos. Kareem will forever be remembered for his tenure with the Lakers, but he blossomed into the NBA's best player as a member of the Milwaukee Bucks. 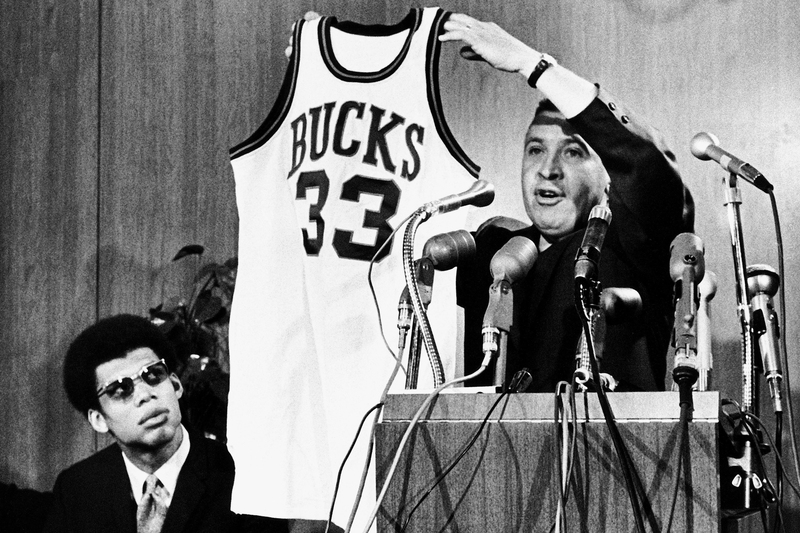 The Bucks selected Adul-Jabbar—then known as Lew Alcindor—first overall in 1969, and he averaged better than 30 per game and made the All-Star team in each of his six seasons in Milwaukee. Kareem even won his first NBA title with the Bucks in 1971, but Abdul-Jabbar was not satisfied; he saw Los Angeles as a place where he could grow his brand, live in a bigger city and, above all, win more. His wish was granted in 1975, and Kareem would go on to win five more rings in L.A. en route to becoming the NBA's all-time leading scorer. In an alternate universe, the Knicks could have been a superteam. On the eve of the lockout-shortened 2011–12 NBA season, Chris Paul told the Hornets he wasn’t going to sign a contract extension and asked to be traded... to the Knicks. But the Carmelo-Amare-CP3 trio never came to be. The CP3-Kobe pairing never happened, either, after commissioner David Stern controversially squashed a three-way deal between the Hornets, Lakers and Rockets. Paul did end up in Los Angeles eventually, with the Clippers. As far as quarterback controversies go, it doesn't get much better than the pickle the 49ers found themselves in in 1992. Montana had led the team to four Super Bowls and was the undoubted face of the franchise, but he missed all of the 1991 and most of the 1992 season with an elbow injury. In his absence, Steve Young emerged as one of the best quarterbacks in the league and took home NFC MVP honors in 1992. When Montana was finally healthy and ready to play prior to the 1993 season, he made it clear that he would not backup Young and demanded a trade to the Kansas City Chiefs. Interestingly enough, the 49ers actually offered to reinstate Montana as the starter, but the locker room damage was beyond repair. Montana was traded to the Chiefs in April 1993 and led Kansas City to two playoff appearances before retiring after the 1994 season. 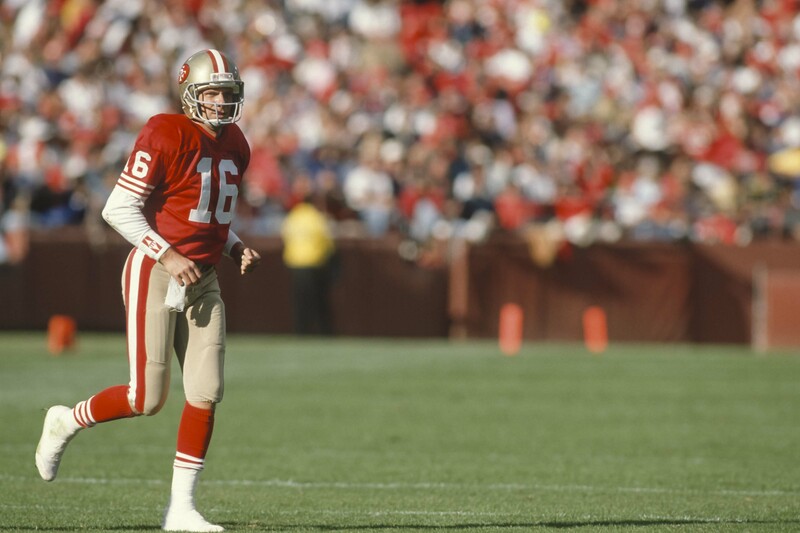 Young, for what it's worth, won another MVP in 1994 and led the 49ers to a Super Bowl XXIX victory. Melo’s departure from Denver wasn’t exactly a trade demand. Instead, he simply refused to entertain the idea of signing a new contract with the Nuggets and the team set out to trade him rather than lose him in free agency and get nothing in return. Anthony indicated he wanted to go to a big market like New York or Chicago and after months and months of negotiations he ended up with the Knicks. Melo’s tenure in New York began well enough, but then Phil Jackson came along. Phil spent his last few months as Knicks president publicly lobbying for Anthony to waive his no-trade clause. He had already turned down a deal to the Clippers and didn’t seem eager to leave his life in New York. But at some point he just said, Screw it, maybe Phil was right, and told the Knicks he wants to join Chris Paul in Houston. The Dream went to the University of Houston, where he was a member of the Phi Slamma Jamma team that lost consecutive NCAA title games, so his roots in Houston ran deep. It seemed that the Olajuwon-Houston love affair was coming to and end in 1992; Olajuwon was dissatisfied with his contract, the direction of his franchise and, most significantly, he was angry at the organization for accusing him of faking a hamstring injury. 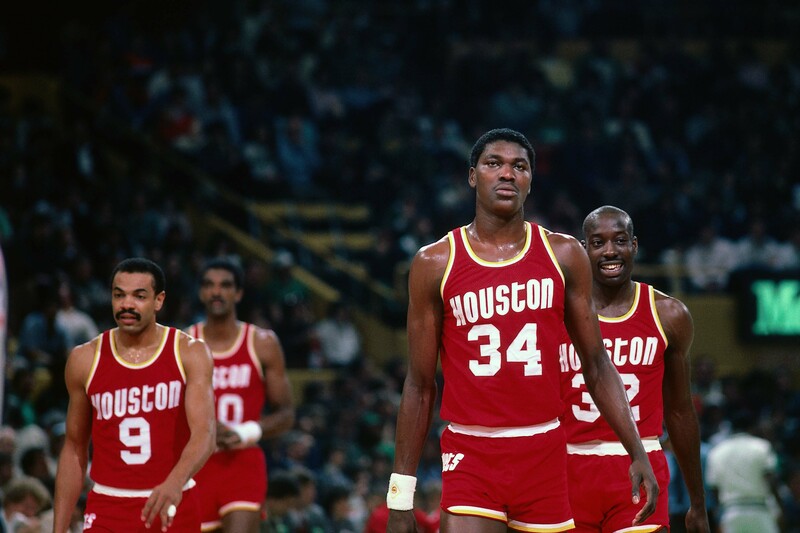 But the Rockets held firm and refused to trade Olajuwon, and that turned out to be the right call—Olajuwon led the franchise to back-to-back NBA championships in 1994 and 1995. Kyrie’s request to leave the Eastern Conference favorite caught everyone by surprise. Just as surprising was the news that he’d been traded to the Celtics, a move that hadn’t even really been rumored. There are countless soccer transfers that could have made this list, because virtually every soccer transfer is the result of a player being unhappy with his club situation and requesting a move. The Neymar situation makes the list because its recent and resembles Irving's request in many ways. Neymar was regarded as the second-best player on a world-class team, playing alongside the best player in the game. Eager to set out on his own and prove himself as a top player, Neymar accepted a record move to Paris-St. Germain. It’s easy to forget that Dwight Howard was once one of the most valuable players in the NBA, so teams were knocking down the Magic’s door when he asked to leave before the 2011–12 season. ESPN’s Brian Windhorst reported that Howard was upset the organization did take his advice on personnel moves. He ended up getting traded to Lakers before the next season, which was an unmitigated disaster. There is a theme here: big men seem to be drawn to the Los Angeles Lakers. 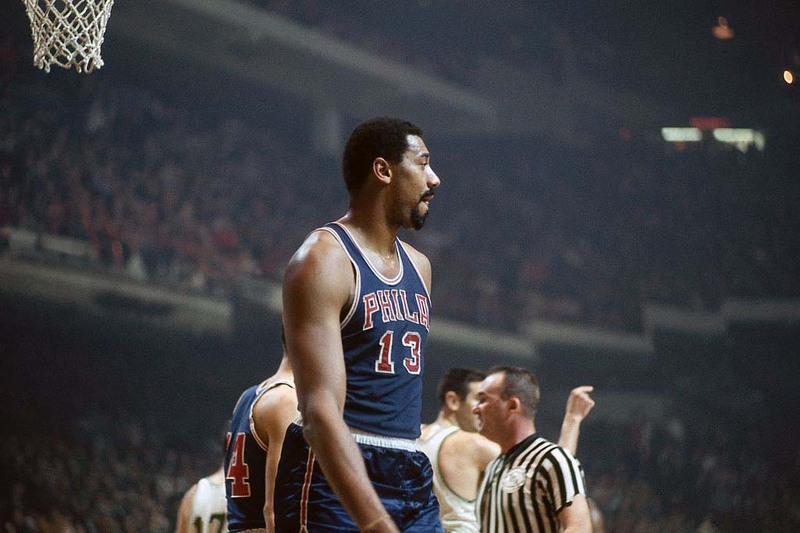 Chamberlain was 31 and coming off three-consecutive MVP seasons for the 76ers when he made his desire to move out west known. He knew that he needed more championships to pair his individual accomplishments and, like Abdul-Jabbar and Howard, felt like the Lakers gave him a great chance to win. While Chamberlain's production declined in Los Angeles, he was named Finals MVP when the Lakers won it all in 1972. Kobe’s request was the rare one that wasn’t mediated through an anonymous source. In 2007, Bryant told Stephen A. Smith on the radio “I would like to be traded, yeah.” Kobe was upset that someone within the Lakers organization leaked—falsely, Bryant claimed—that he was the reason Shaq left Los Angeles. The demand almost led to a Kobe-for-LeBron trade, which would have stopped the rotation of the Earth.